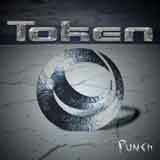 Token are back with their second album, Punch. This second album also features the band's second lead vocalist. Mattias Ahlén has replaced H.B. Anderson behind the mic. Despite the lineup change, Punch pretty much continues where the debut, Tomorrowland left off. The band has expanded and improved its melodic hard rock sound. Also, the guys have thrown in some experimental twists that some folks may like, but I feel that most fans could do without. After a brief into, the album gets going with Tear Down The Wall. Featuring grungy, Alice in Chains like harmonized vocals, I immediately began to have serious worries about this album. Luckily, this strange mix of classic melodic hard rock with alterna-grunge does not last past the first track to this magnitude. On the Move and Sin feature less pronounced grunge influenced harmonized vocals, not too dominant or too lengthy. Again though, I really could have done without this mid 90's grunge taste altogether, albeit a very mild taste. Token have gone with a slightly downtuned guitar sound for this album, which gives the album a darker, heavier tone. This heavier and darker approach works well for the band (as do some of the more modern production techniques), but I do hope that they stay as far away as possible from the grunge influences in the future. Aside from my complaint regarding the isolated grungy harmonized vocals, Token have taken a big step forward on this album as far as songwriting goes. First of all, the melodies are much better developed than the seemingly generic melodies found on Tomorrowland. Not relying simply on catchy chorus lines, the band utilizes the highly melodic voice of Mattias Ahlén (who sounds similar to PC69's Dennis Readman at times) in conjunction with guitar melodies and well placed, diverse keyboard lines to drive the songs into your mind. As a result, most of the melodies found on this album are of impact, and give each of the songs character. Bordering on melodic metal at times (Free I'm Gonna Roll and On The Move are the most obvious examples), Token demonstrate an ability to deliver quality music at varying speeds and tempos much like PC69 are able to do. Consequently, the album never gets boring, and the 44 minutes of this Punch album go by rather quickly. The guitar work has more bite to it than was found on the debut album. As I mentioned earlier, the band opted for a darker sound on this album, but they also added a harder edge to their sound to emphasize the heavier tone. The guys have certainly blurred the line between melodic rock and melodic metal for a majority of the album as a result. Like the debut album, the keyboards see light to moderate use at most. While listening to Tomorrowland, I felt as if the keyboards were simply "just there," not doing much to enhance the song, but not hurting them either. This time around, the guys have done a much better job of delivering diverse keyboard textures that emphasize the melodies and accentuate the atmosphere of the songs. I would say that this is a product of the band's developing skills at the songwriting level. All in all, Punch is a strong follow up album. While the debut album was enjoyable, it didn't really jump out at me or establish a personality for the band. Primarily due to improved songwriting, Token are on their way to establishing a recognizable and unique identity for themselves. Punch is a step in the right direction for this band. Hopefully, the guys will shed the grungy experimentations in the future. So long as the guys continue to write quality, melodic hard rock songs, I see no need to get too experimental. Quality songs speak for themselves, so hopefully they will just concentrate on writing great melodic rock in thr future instead of trying to experiment too heavily with a winning recipe.